Last scanned GPS position: With this model, the asset only requires a simple barcode rather than a powered tag. The GPS location is collected by a mobile device when the barcode is scanned by a person. This kind of GPS equipment tracking allows someone to know where the asset was the last time that someone scanned it. Completely passive system: Due to the nature of Active GPS tags, they can provide location information completely passively without any human intervention. Near real-time location data: With the ability to transmit a GPS signal, the location of your assets can be displayed nearly in real-time. Most commonly these tags will send a signal from once per day to several times per day. Alert on movement: Alerts can be setup to alert you when an asset starts moving or moves into or out of a certain location. Despite these powerful attributes, active GPS tags do have their limitations, and may not always make the ideal choice for an asset monitoring system. Cost: It can cost upwards of $10 per asset per month to track items by active GPS tags, making it much more expensive than either barcodes or RFID Asset tracking methods. For this reason, it is generally reserved for highly valuable assets such as vehicles. Battery replacement: Active GPS tags need to have their batteries replaced or charged intermittently, a factor that may have an impact on resource productivity. Environmental limitations: Some GPS signals are not efficiently transmitted indoors which can limit the effectiveness of the tracking system. Theft: GPS systems can be defeated by the destruction or removal of the GPS tag..
Limited information: A GPS Asset tracker will give the location of the asset in question but is not able to provide other relevant information. Generally in addition to active GPS tags you will also want the ability to collect data about the assets from mobile devices. This is for things like delivery confirmations, maintenance checklists and any other work processes that surround the assets. This can lead to the necessity of having multiple tracking systems in place. In this model you will only know the GPS position as of the last time that someone scanned the asset. This is most appropriate when tracking hundreds or thousands of assets – especially those assets that will be inside a building or are of relatively low or medium value. The last scanned GPS position model is generally ‘good enough’ for most kinds of asset tracking needs and is far cheaper and simpler than active GPS tags. This capability comes standard with TrackAbout’s asset tracking, order management and maintenance systems. 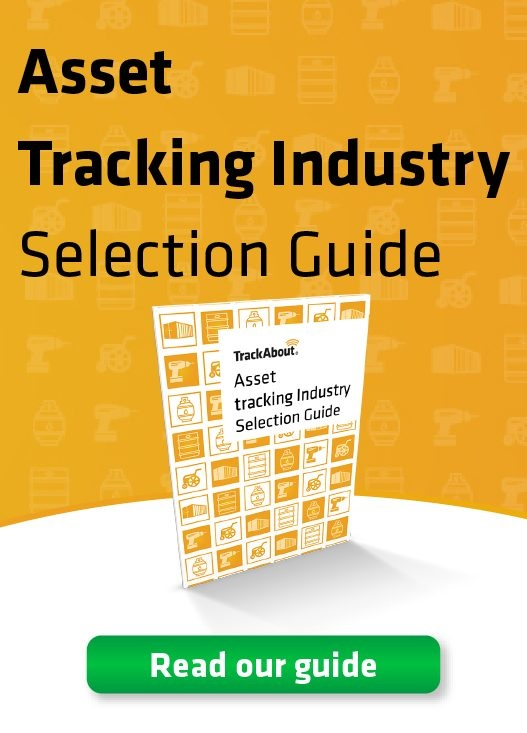 TrackAbout’s robust asset management tracking system supports all manner of tracking methods, including GPS, and they can advise your business on which option is most suitable for your requirements. Contact us for a free demo and trial of the TrackAbout GPS asset tracking system. Or, read more about our various features and integrations.